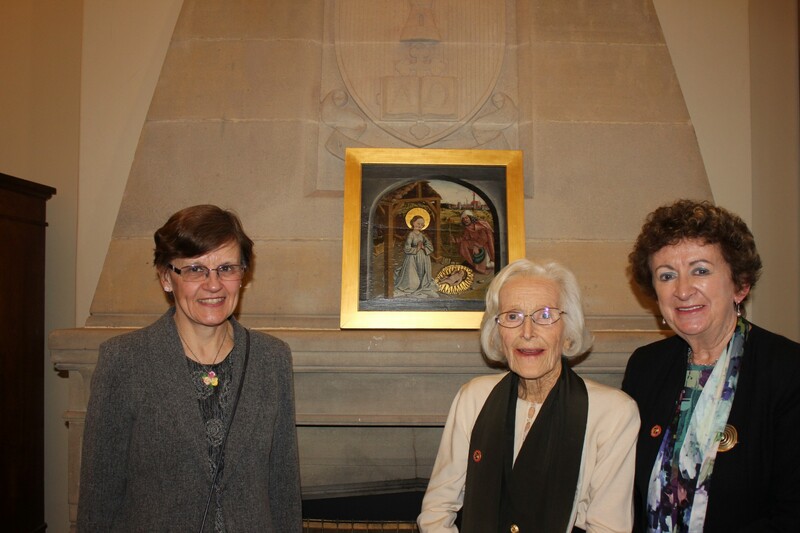 Sancta is sad to announce the passing of a great friend of the College, Rosmarie Samuelson. 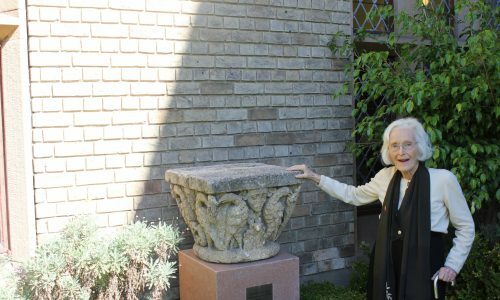 Rosmarie was a wonderful supporter of the College and generously donated a number of artworks for the beautification of our walls and a capital that has pride of place in the Quad (seen in the header image). Rosmarie died peacefully at home after a long battle with illness. She will be remembered for her intelligence, poise and immense kindness. The funeral will be held on 19 November 2015 at the All Hallows Church at Five Dock at 10am, followed by the cremation at 11.30 at Northern Suburbs Crematorium East Chapel, with a wake at their Function Centre. Rosmarie was a founding member of the Mother Swift Bequest Society. She will be sadly missed.